The Cubbies did it! 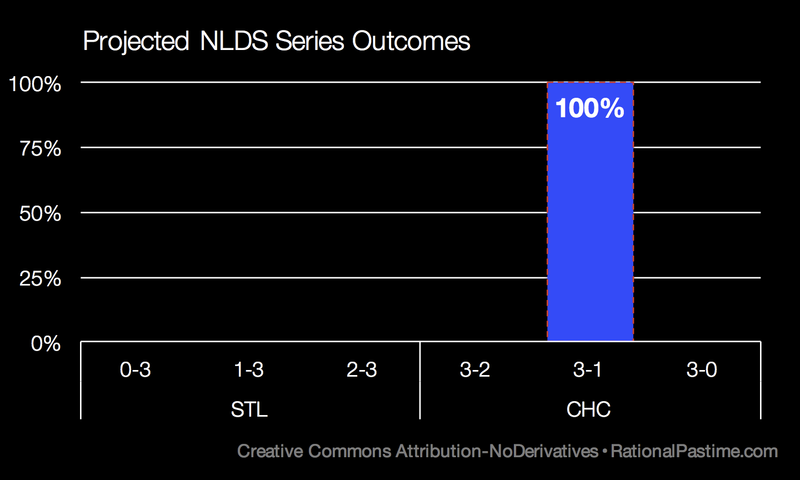 Despite needing to win one on the road against the winningest team in baseball, the North Siders took the NLDS in four games just like the old gypsy woman said my playoff simulator predicted. Last night's clincher, the first ever at Wrigley Field, sends Chicago to the NLCS for the first time since 2003. The Cubs are now marginally favored to win the World Series at 3:1, in a dead heat with the Toronto Blue Jays. Speaking of the Blue Jays, they take on the Texas Rangers at home in the Rogers Centre in one of two winner-take-all games five on tap for today. 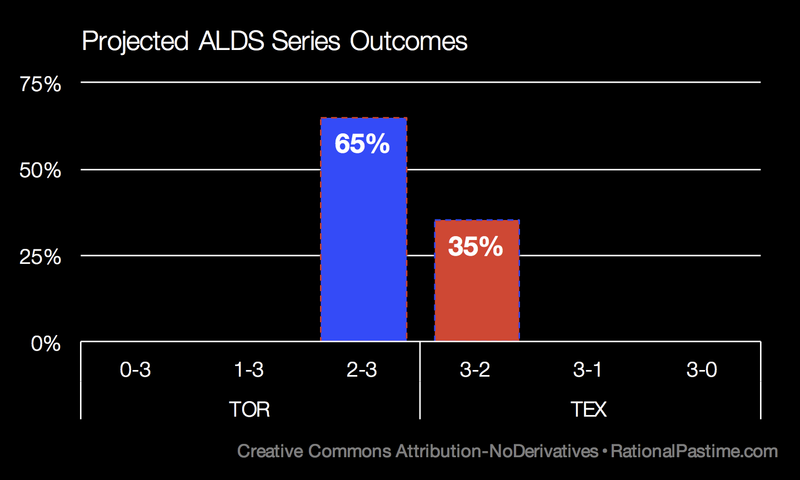 My model heavily favors Toronto to defeat Texas. It's a different story at Kauffmann Stadium, where I have the home town Kansas City Royals neck-and-neck with the Houston Astros. As noted, the Chicago Cubs shot into first place on the World Series probability leaderboard after dispatching the St. Louis Cardinals. 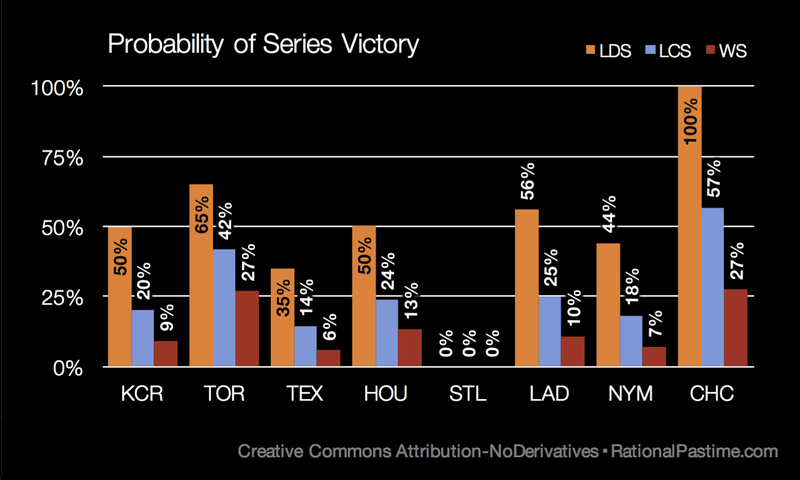 As the highest rated NL team by RPScore, their victory had a marginally negative impact on the remaining teams' chances. In last night's other contest, the Clayton Kershaw & Co. held on to force a game five at home against the New York Mets. The former enjoys 9:1 odds to win it all, while the latter are slight underdogs at 13:1. 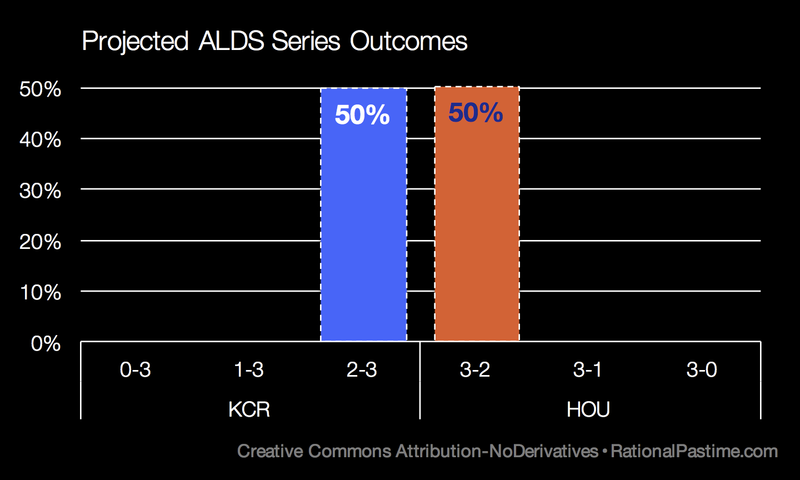 The Royals might enjoy home field advantage, but the Astros enjoy a better RPScore. The result is a dead heat. Anything goes in tonight's winner-take-all game five between the American League's top seed and the one-time road team Wild Card contender. In contrast, the Blue Jays enjoy a superior RPScore and home field advantage. More likely than not, these two factors will conspire to send the Blue Jays to the ALCS for the first time this century. 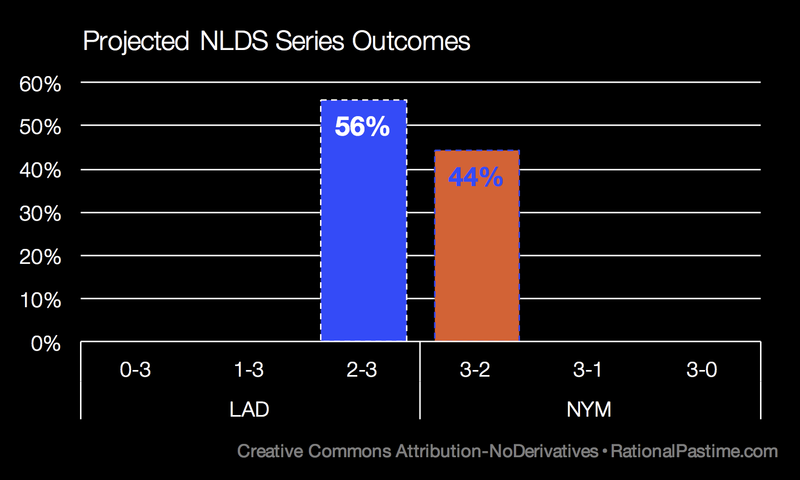 Tomorrow's contest favors the Los Angeles Dodgers over the insurgent New York Metropolitans. Toronto and Chicago are all over the leaderboard of most probable World Series outcomes, with a Jays win over the Cubs in six the single most likely result. Chicago's best chance is a win in seven games at Toronto. Houston is also well-positioned to prolong Chicago's World Series drought. With the elimination of the St. Louis Cardinals also came the elimination of four interesting playoff and World Series scenarios. The potential for an I-70 series is now null. 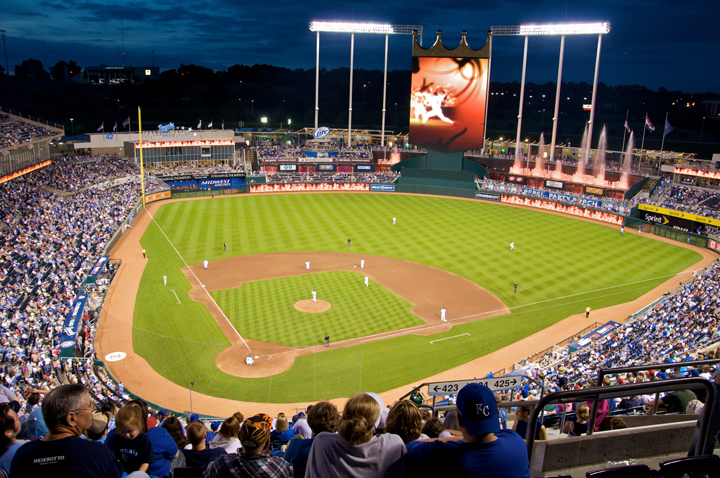 A 1985 ALCS rematch between the Royals and the Blue Jays remains very much a possibility, as does a Lone Star Pennant. The results of today's American League elimination games could send the best team (by RPScore) to the ALCS, or the worst. 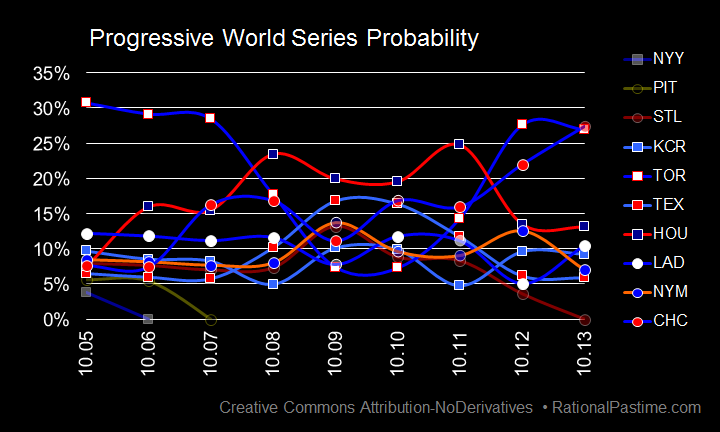 How much of an effect on the World Series picture will those results have? Stay tuned to find out.